Local SEO is SEO in local places. For example you can be ranked for best bars in Los Angeles. Why is it important? Because almost half the search are local search. People want to know, where the events, tutor, bars etc. in their area are. So if you have a local business selling e.g. walking tours for tourists, you should do local SEO. Same like doctors, attorneys, accountants etc. Onpage SEO. If you don’t know, what it is, read this! What is onpage SEO? In terms of local SEO the location should also be in the domain name. Subdomain name is also fine. Besides, the location for example Los Angeles should also be mentioned on the title, header and meta tags. Offpage SEO. If you don’t know, what it is, read this! What is offsite SEO? Register your business on Google My Business, so that you can be seen on Google Maps too! The more positive ratings you will get, the higher you will get ranked locally. Additionally, you can use directory sites like yellow pages, yelp, tripadvisor etc. Then use geotagging in social platforms and e.g. business facebook fanpage. Location. The closer you are to downtown, the better it will be for your ranking. Furthermore getting mentioned on local newspapers, institutions, authority sites like commercial chamber etc. is definitely helpful too. The contact details of your contact page should be the same like on the Google My Business listing. That’s basically it. Quick and easy. I hope, you like this article about local SEO. To stay up to date. Just like my Facebook Fanpage: The Doan’s Blog. If you want to know, how to get sustainable traffic, read this: What is SEO? My most popular blog article: International money. Veröffentlicht am 24. Juli 2018 Kategorien Business, GeneralSchreibe einen Kommentar zu What is local SEO? Recently a YouTube channel and a Facebook page caught my eye. It’s called Yitiao — meaning “One Article” or “One Piece” in Chinese. 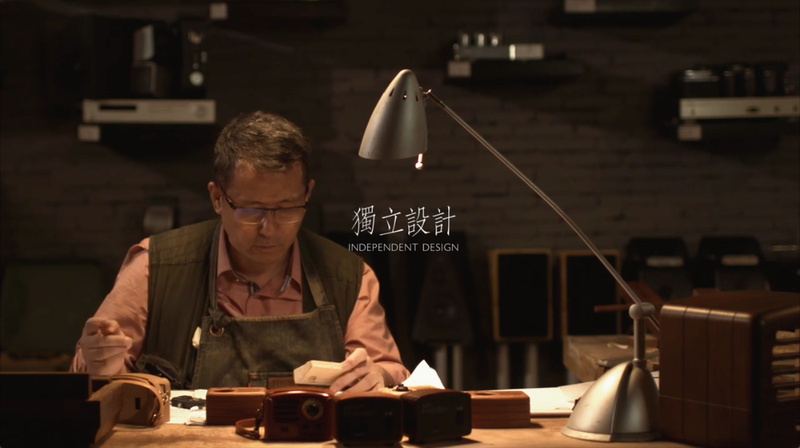 For the past three years, Yitiao published one or two highly produced short videos everyday, showcasing well-designed homes, architecture, crafts, photography and art. These videos are mostly narrated in Mandarin Chinese, although subjects range from China to around the world. It was clear that these were made deliberately for the web, and more specifically for mobile, as the length of videos ranged from 3 to 5 minutes. I knew this was an expensive operation to maintain, based on the consistent production quality and release schedule. There had to be a disciplined full-time team dedicated to sourcing stories, travelling to sites, shooting the footage, and doing post-production. These are not trivial tasks, definitely not the feat of amateurs. Two questions gnawed at me as I watched more videos. Who was behind this company? How did they make money? I pondered. These two questions later led me to discover a new business model and the story of Yitiao — a startup that is currently valued at 500 million (USD). The more I researched, the more I found its origin story fascinating. This is my telling of how Yitiao came to be. The then 40 year-old Xu Husheng sat in his office, located in the former French Concession neighbourhood of Shanghai. As he gazed at the plane tree leaves just below his fifth-floor window, he felt a sense of anxiety. The last real anxiety he felt was eight years ago. Back in 2005, he took over as the acting chief editor of the Bund magazine. His ascension was a last ditch effort by the executives and the board of directors to save the company — it was losing subscribers and hemorrhaging money. According to many retellings of the same story, Xu’s timely pivots turned things around. Before his arrival, the magazine focused on social issues and current events. 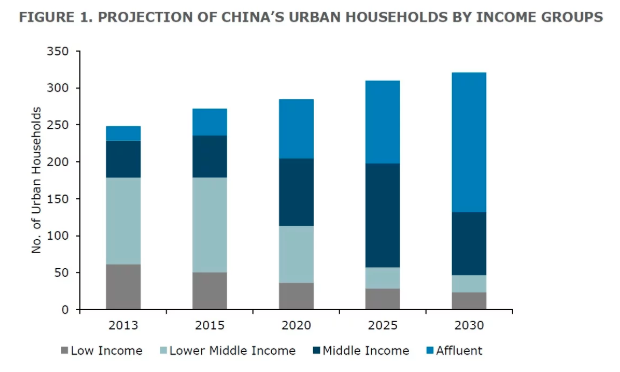 While this positioning had its audience, Xu realized that for most young city dwelling Chinese professionals, an audience that was rapidly growing in size and affluence, these subjects were utterly uninteresting. Soon after that day, Xu decided to see for himself — replacing his feature phone with a smartphone. First thing he did was to install WeChat. 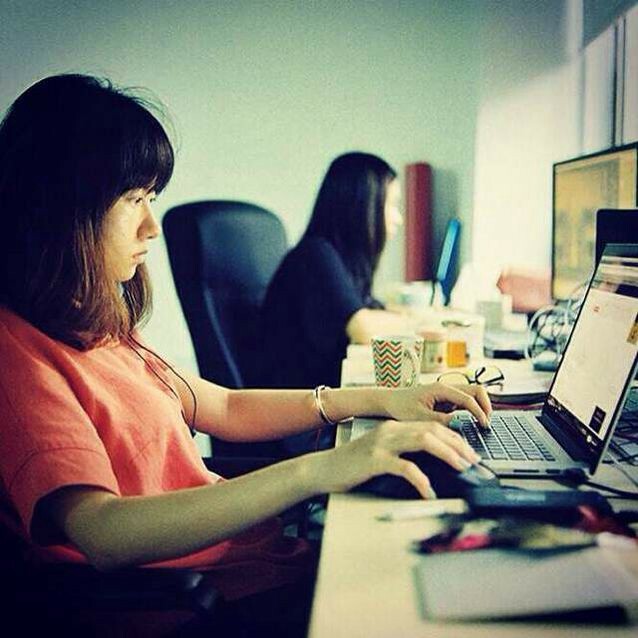 It was on WeChat that he noticed the existence of public accounts, which are accounts that any individual, business, or organization can setup. These accounts can publish content and communicate with their followers, similar to Facebook Pages. Any WeChat users could follow these accounts by searching keyword or by scanning a QR code. 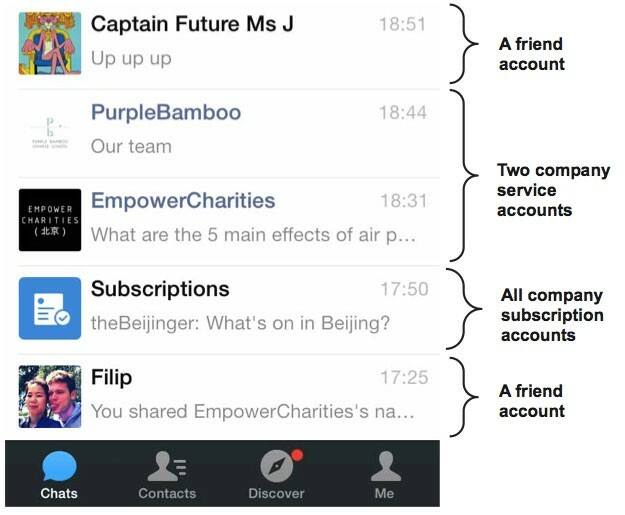 When WeChat first launched public accounts in 2012, mainstream media were still oblivious to its later powers and simply ignored it. However as its functionalities improved, and as the number of WeChat users skyrocketed, public accounts became the main way news spread in China. Xu’s office also caught the Public Accounts bug by mid 2013 — every department had created their own public account. However, as time progressed, it became apparent to Xu that traditional media simply couldn’t move fast enough to come out on top of this storm. He had to make a move. In November 2013, Xu found himself talking with the New Media executive at Southern Weekend, arguable the most popular weekly newspaper in China. They conversed for hours. Xu came out feeling dazed. But he was not confused. That same night, Xu downloaded several hundred media and information apps on his iPhone and followed several hundred public accounts on WeChat— staying up until 4am, browsing, clicking and reading. He lamented before finally sleeping, saying “my rice bowl is really going to be broken” — a Chinese idiom describing one’s livelihood being eradicated. Software is eating the world. The web is eating software. Xu realized that videos are eating the web. He looked to the premier video sharing platform of the world — YouTube, for inspiration. Hopping over the Great Firewall with VPN, he watched the most viewed videos on YouTube. But due faulty VPN connections, he had to first download the videos, then watch them offline. In a few months, he had amassed over 6000 clips with a combined size of 60GB. On YouTube, as Xu put it, “over half of the most popular video were about lifestyle, there are many popular videos about teaching how to make clothes, how to cook, how to fix things”. While in China, the overwhelming majority of content was still about entertainment, memes and celebrity gossip. He gave the example of Michelle Phan, a YouTuber with millions of subscribers, whose videos were mostly of herself facing her camera, next to a mirror, explaining and showcasing fashion, cosmetics and other lifestyle tips. Xu noted that she eventually was able to use her success to launch a cosmetics company with a valuation in the hundreds of millions. To Xu, there was no reason why lifestyle videos couldn’t succeed in China. Armed with this discovery, he returned to work. His proposal was to setup a video team. To his surprise, this was met with strong resistance immediately. One his superiors responded by saying that they were in the magazine business, not the video production business, and that he should leave that to Shanghai’s various TV stations. Because of his previous life as a leading editor, he was able to secure meetings with many angel investors. But few were interested to invest after hearing the pitch. His proposal didn’t have a clear path to revenue and the media business had its own baggages in China, given the political environment. Despite the odds, one VC firm — Whales Capital did invest, however, with a final test. In the final round of negotiations, the investors at Whales asked Xu to commit $160,000 USD of his personal money into the business as a sign of conviction. Xu agreed without hesitation, despite it being a sizeable chunk of his savings. And because of this, the deal closed quickly. With the money in the bank, Xu went about renting an office and hired a group of six, then ten, mostly fresh-out-of-school college graduates from various programs and started learning and making videos together. They initially tried to make their videos just like the ones on YouTube, adopting similar speaking, lighting, editing techniques and styles. The resulting videos felt lively and fast-paced, and in many ways indistinguishable from those of the YouTubers who inspired them. Yet something didn’t feel right. What made matters worse was that China didn’t have a de facto video distribution / subscription platform like YouTube. The video audience was scattered across sites like Youku, iQiYi, Sohu, and Tencent Videos. It was impossible to gather them all. Xu and team realized that they had to make breakthroughs in both content and distribution in order to succeed. “Why are we trying to make videos like these kids on YouTube? They are doing their thing, but that’s not us.” One team member calmly expressed her frustrations at a company all hands. They didn’t have an answer to her question. But they decided then that they should learn their craft regardless of their direction. The team kept going. They focused on improving their skills for twelve hours days, 100 days straight, by shooting and editing a few dozen videos without ever releasing them publicly. In hindsight, this 100 days was the team’s learning curve. And surprisingly the process actually allowed them to find their direction. Seeing that there was something interesting there, they quickly ditched tutorials to focus on stories, with topics that range from architecture, design, art, to craft — all subjects that Xu was already familiar with. 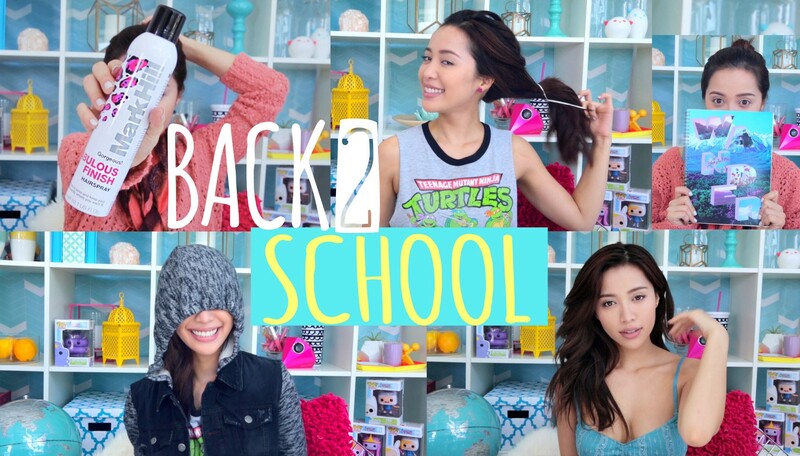 On September 8th, 2014, they released their first public video on the various video platforms. 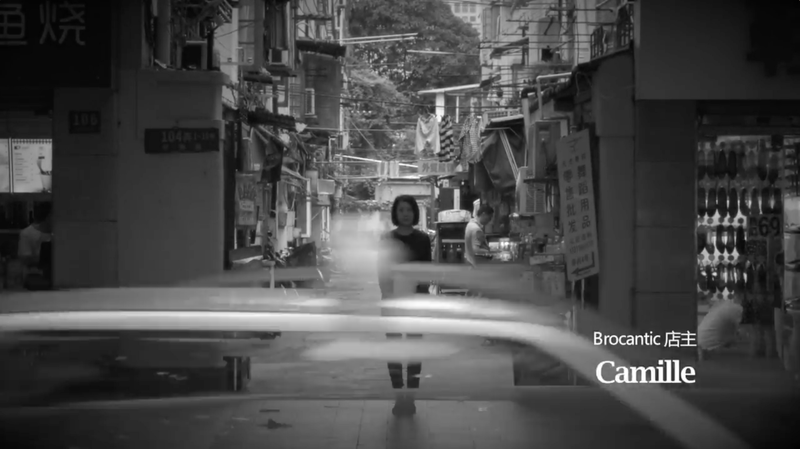 It was a four minute clip about a Shanghai antique shop named Brocantic. The difference was apparent from the first scene. The shop owner Camille stood in front of an old neighbourhood alley as a long exposure shot captured cars passing by in a blur. 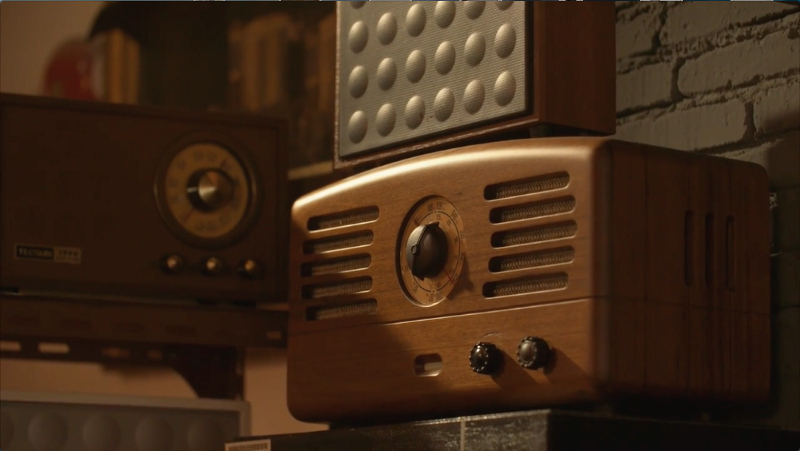 The entire video featured her narration to accompany the moving images, as it documented item to item in the shop. The video ended with a still of the shop’s address and hours info. We really like these videos, but they won’t get any traction online. 1People who enjoy magazines, like them for their content, not their form factor. Fundamentally the shift was not in people’s taste but in their preferred medium — from paper to mobile / digital. The type of content that people liked were largely the same. 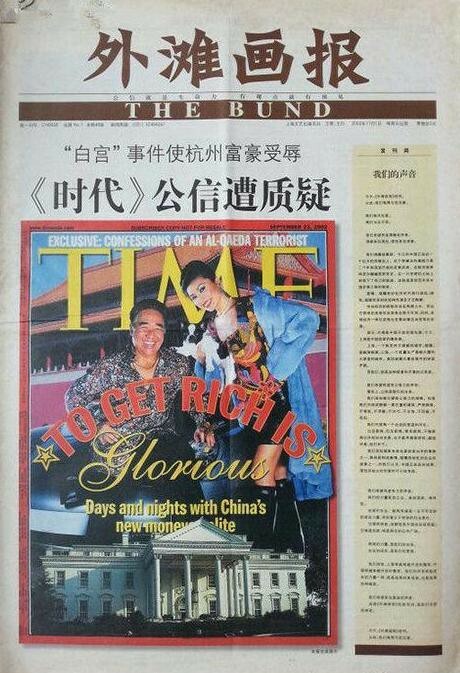 So if an audience existed for the Bund on paper, it also should exist online. What was clear to Xu was that the techniques of arranging imagery and text on paper (aka graphic design), no longer engaged the audience of WeChat and other social media. The Magazine spread simply could not exist on a small screen. The hunch that Xu had was that video was the form factor that could capture attention on digital / mobile. Compared to texts and images, videos are much harder to create — good video skills were not as proliferate as good graphic design skills. I think Jack Ma said it was 300 million. 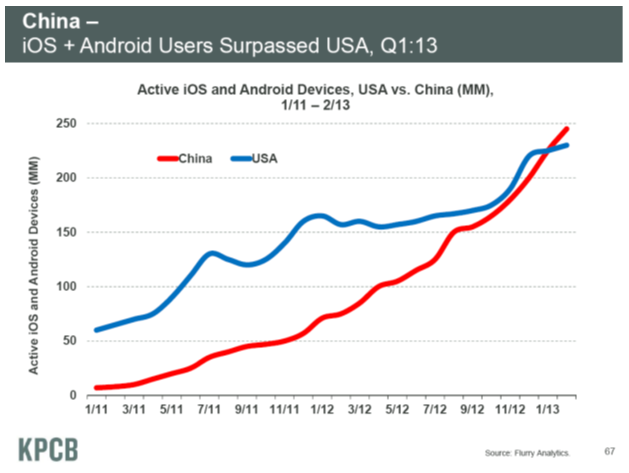 By the fall of 2014, WeChat has emerged as the messaging platform for China. Many WeChat public accounts have gained tens of millions of followers. Riding these two waves, Yitiao decided to focus growing their audience on WeChat. They decided to act on this new product called GuangDianTong (GDT or 广点通) . It’s a targeted advertising platform developed by WeChat’s parent company, Tencent. Like the advertising platforms from Google and Facebook, GDT also advertised based on bids for a specific audience. Yitiao only had 1.25 million dollars available, yet they still put in $315,000 into GDT in the first week. This was a calculated gamble by Xu. They had planned to release a dozen videos in the first two weeks of launching on WeChat. If it was possible to gain one million followers within that time, that news in itself would become a spectacle. The effect of such an event would be a long-tail of new followers weeks and months down the road, based on the media coverage alone. Aside from GDT, influencers also provided valuable fuel for subscriber growth in the first two weeks. First, because of Xu’s connections, several celebrities shared Yitiao videos on their own social feeds. Second, despite the none of the dozen videos going viral , each was niche enough to turn heads on its own, because they appeal to influencers within specific industries to share among their own followers. 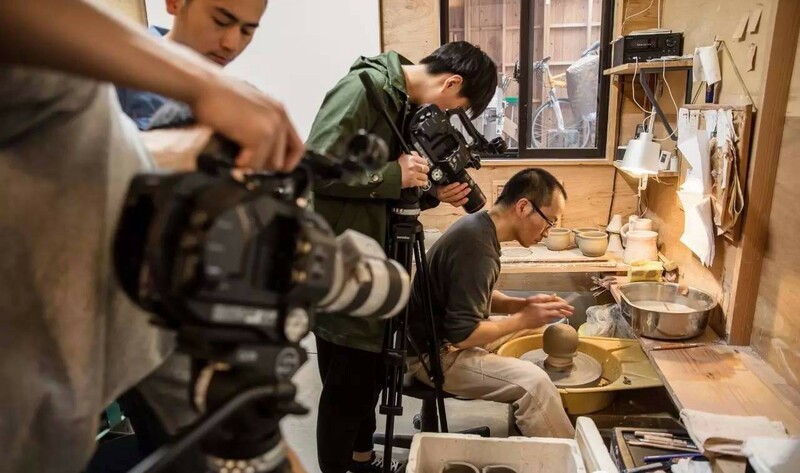 For example, the video titled “Architectures’ New Wave” circulated in the architecture enthusiasts scene; Another video about tea was viewed among the fans and lovers of tea; The one about a boutique hotel was widely shared among hotel industry. 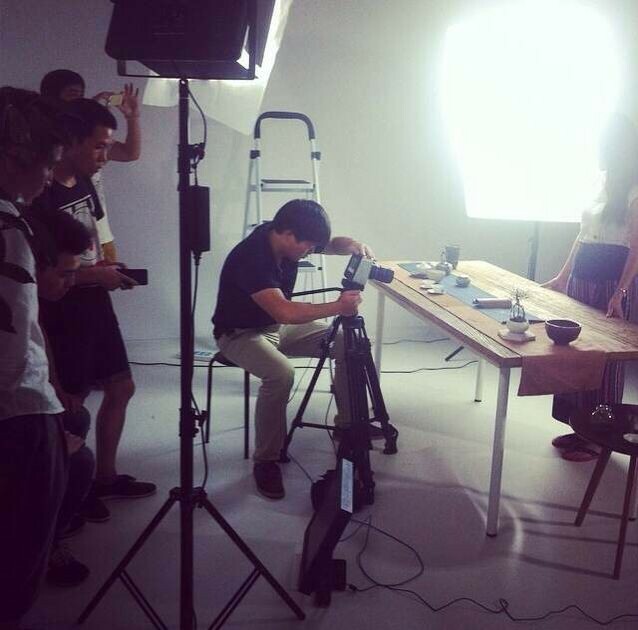 Yitiao’s first food video was about a wonton shop. The reason for this was that not only were the videos highly produced, the protagonists in each video were all individuals who were doing very interesting work in a particular industry. Xu’s decades of editorials work showed its strength in the effective sourcing of these stories. What became clear was that most of China’s top sites aimed for the mass public audience. Audiences who preferred editorial and highly produced content, although perhaps that group only accounted for 10% of the total, were always overlooked and even ignored. But given the scale of China, that audience alone could be in the tens, if not hundreds of millions. Yitiao grew to six million followers in seven months. 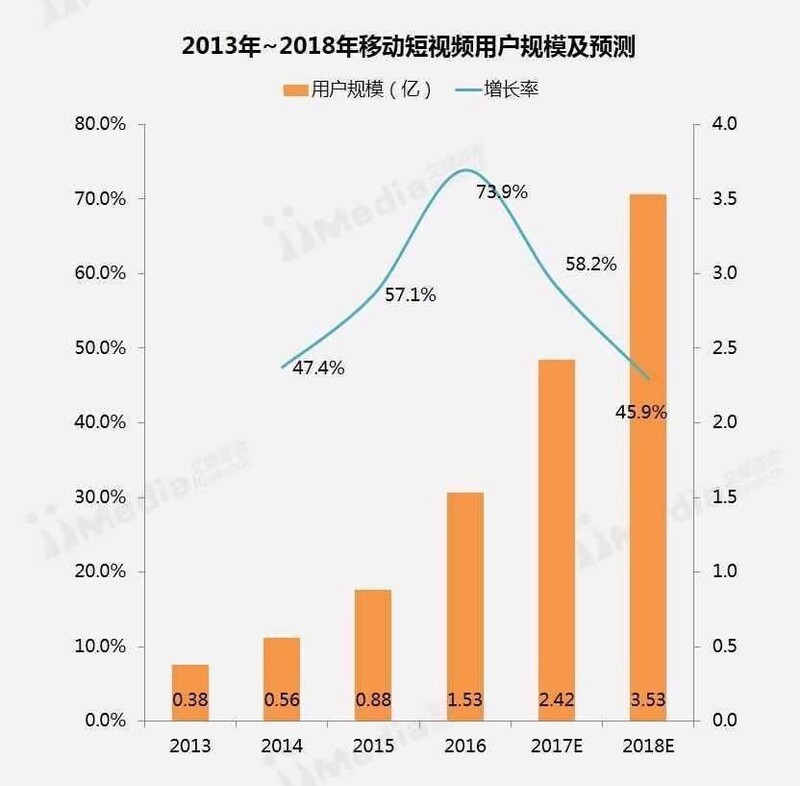 In three years time, China’s mobile video audience as a whole would grow from 56 million to 353 million. To retain followers, the videos’ quality and released schedule both needed to be maintained. Xu thought that the best way to do that was to codify the production process. They key is to make the sourcing of story, shooting, editing and distributing of content repeatable and efficient. The team analyzed their previous work and iterated on a template. The level of details that ended up in the final template was extremely meticulous. 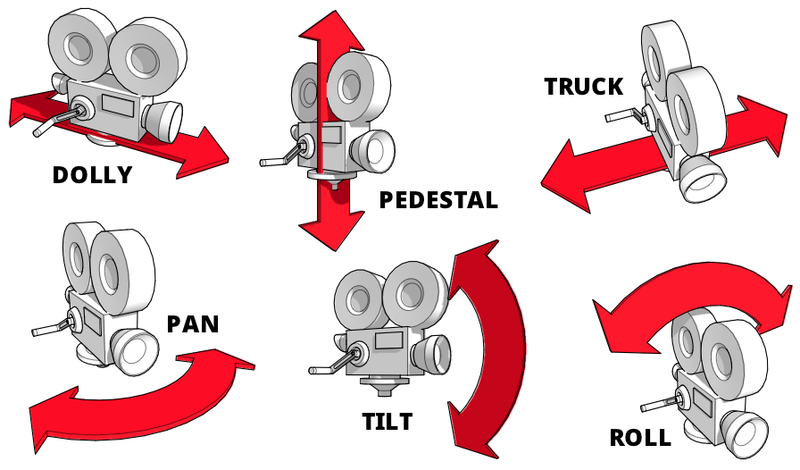 For example, for cinematography alone, the number of long, tracking, panning, and dollying shots were spelled out. For narration, a 950-word template was created to establish a logical order of storytelling. It could be used to tell any story in no more than ten points. In terms of timing, every minute and half, as the audience got bored, a new thread of points were revealed to refresh their attention. Another example was to show the most interesting footage at the beginning, because if the first 5–10 seconds weren’t interesting, many viewers would churn immediately. Revenue soon became the elephant in the room as their audience grew. Naturally, the team turned to advertising. Given the coarse and ineffective styles of popup advertising, and blocker videos, the team decided against that early on. They initially focused on native advertising. Xu pointed out that content and marketing have always been intertwined. 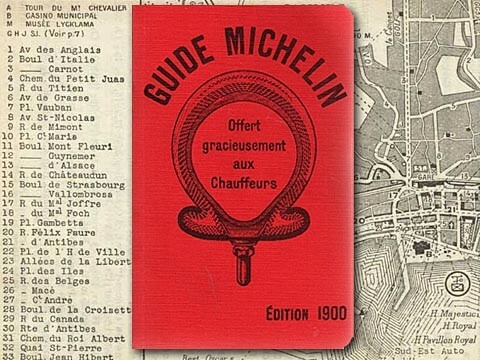 He gave the example of Michelin, a tire manufacturer that publishes the renowned restaurant guides. The guides were initially created to helped drive demand for automobiles, back at a time when the auto-industry industry was still nascent. That model seemed to be a perfect match. Yitiao had attracted a group of viewers who had, by pressing the follow button, informed Yitiao of their desire to keep up with content that showcased more ways of living with quality. In this sense Yitiao could be the “Michelin Guide” of lifestyle products — a media platform that connects people with products and brands that match their tastes. In order to do that, Yitiao must first discover products, then present them, and then connect the audience to them. The team began working on this idea after reach six million followers in mid 2015. However, soon after, Xu realized just connecting the audience with products wasn’t enough — many of these shop had little to no online presence and many more simply couldn’t figure out how to do ecommerce. This meant that there was no way for them to expand beyond one city. The need to for Yitiao to venture into ecommerce was apparent. Rather than linking videos to shops and websites, Yitiao could integrate both the marketing and selling portions of the whole experience and allow their supplier companies to focus on creating great products. This way customers can truly enjoy the benefit of buying directly on Yitiao. This proves their hypothesis and gave them the confidence to proceed. Content aside, Yitiao began selling products. 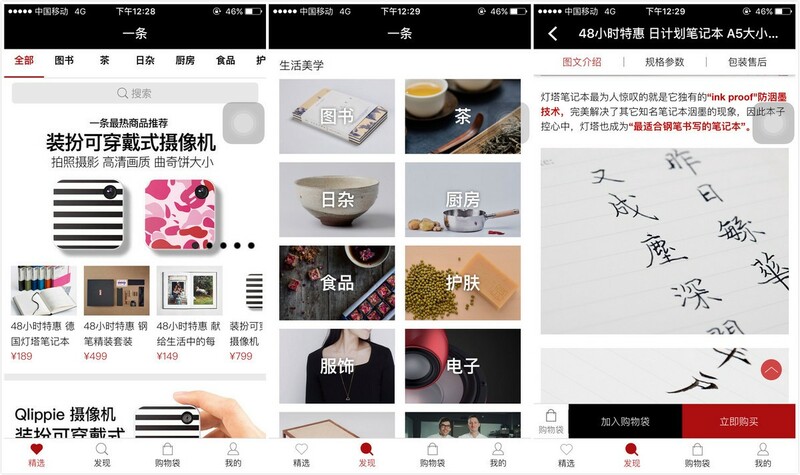 With the newly hired technical staff, Yitiao built up a robust shopping experience inside their WeChat public account by early 2016. They named it “Living Hall”. Two weeks after launch, Living Hall would gross over $1.5 million USD. They continued the technical efforts and launched a stand alone iOS app seven months later. 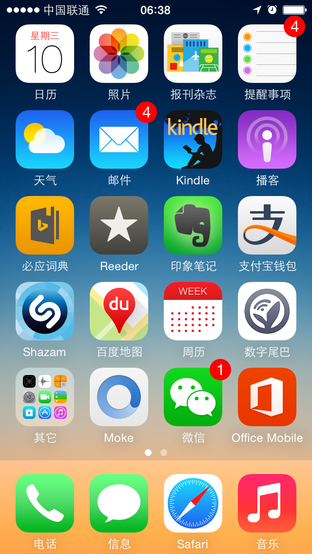 The app and the public account had the same interface so that users can access Yitiao wherever they preferred. The difference between Yitiao and traditional ecommerce is that Yitiao treated ecommerce content like media content. 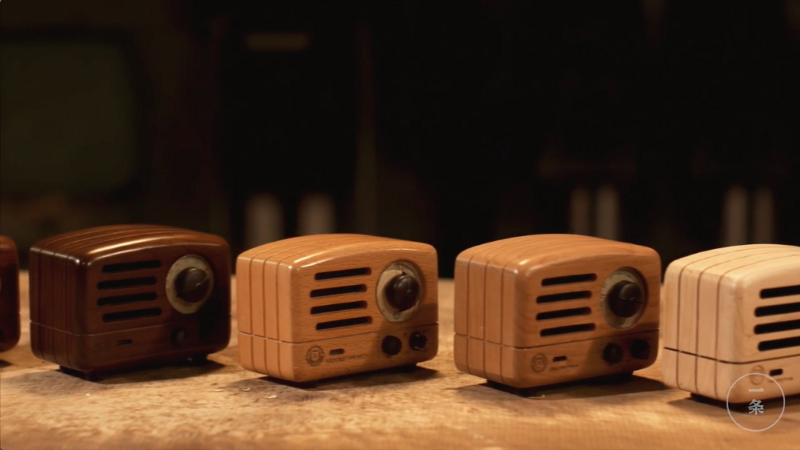 Instead of showcasing a product’s specifications and features, Yitiao focused on what the story behind the object was. 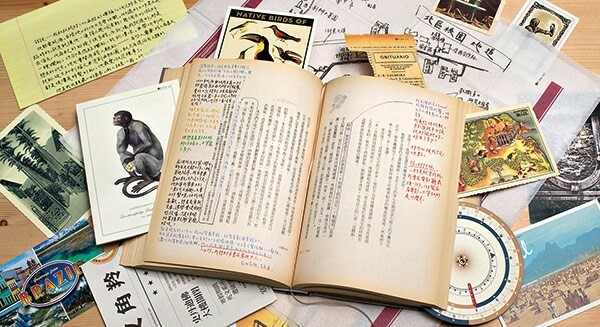 A screenshot from the Yitiao promo video for the book “S”. One of their most interesting cases was the novel S. It had an innovative format for a novel. The printed text formed its own complete story, but added to it were scribbles in the book margins from two people . These marks and annotations by these two voices were done throughout the book. Included in the book package were also photos, maps, and documents. Altogether these artifacts added a story on top of a story. This book sold only 20,000 copies in America. Yitiao contacted the publisher and secured presale rights for 25,000 copies in China. Again the results astonished everyone. In two days, the presale copies were all gone. Over the subsequent years, the book grossed over $656,000 USD. For someone who came out of the publishing industry, Xu realized that this was unprecedented. The next case even further solidified Yitiao’s belief in this model. 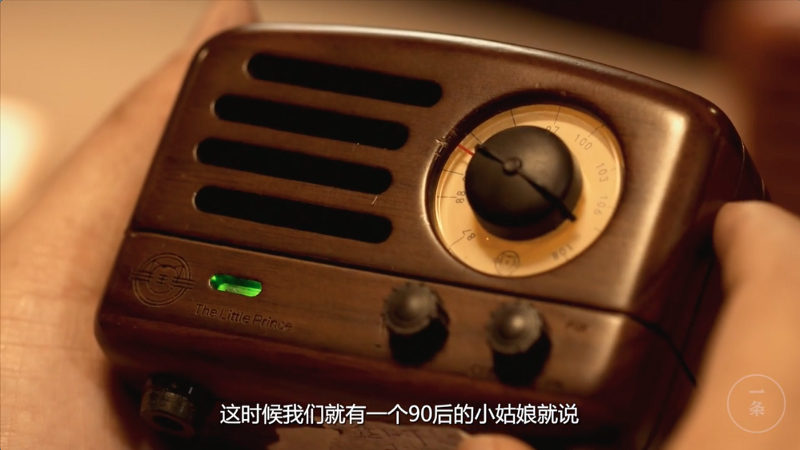 Mao Wang Radio was a brand that designed and manufactured a retro style radio. It had were many sales channels, but its Yitiao presence was the fastest growing. By the end of 2016, they’ve grossed over $1.1 million on the platform. Xu reflected on why their business grew so quickly. The effect of Yitiao’s success has reshaped China’s media and ecommerce landscape. 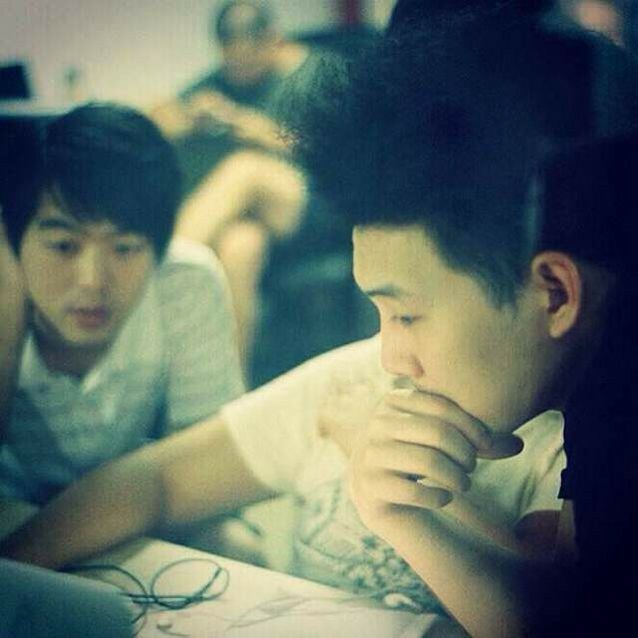 More and more startups are creating videos, some are directly copying Yitiao’s model. Content-to-Ecommerce has become the new buzzword of the day. Also as the proliferation of content and ecommerce ramps up, Yitiao’s user growth has plateaued. We want to be better than MUJI. One of the executives said in an interview in 2016. But how? The executive didn’t elaborate. Making such a bold statement made Yitiao appear arrogant in hindsight. Indeed, there are many challenges ahead. Their current bottleneck revolves around the need to vet tens of thousands of products and they enter the platform. Judging from user feedback online, the process is somewhat flawed and has not been able to scale well, now that their SKU is in the tens of thousands. It’s impossible to know how big the issues are in aggregate, but online reviews reveal that issues are common. One user wrote about her experience and went on to speculate that the product she bought was not in fact an original import, as claimed on Yitiao. This was a serious accusation for a platform that prides itself on quality and trustworthiness. There was no follow-up to that thread, so it’s impossible to know what happened. 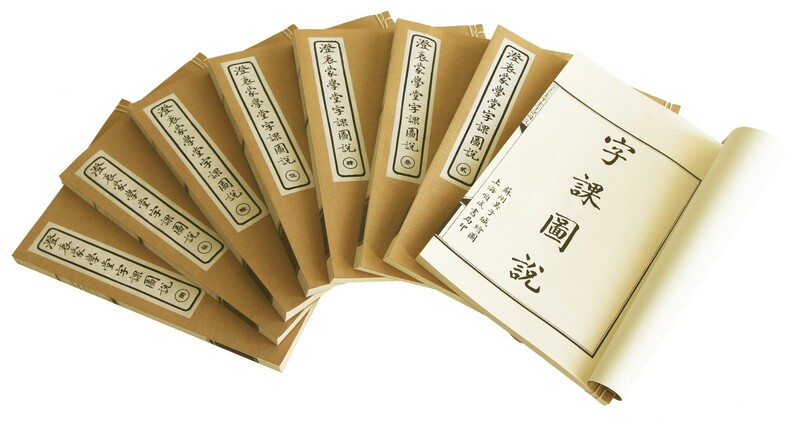 Another user claimed that out of three dozens of products she ordered on Yitiao, only about a dozen were satisfactory. She explained that it was impossible to return most of those items, because they were labelled as “rare” and “sourced with great difficulty”, which are euphemisms for “no returns”. Aside from these reviews, there has also been pushback on Yitiao’s content. This Weibo post illustrates that sentiment. The protagonists in ‘Yitiao’ videos, either own hotels, or built houses by hand for their loved ones, or bought islands, or spent $400k renovating rented residences in the center of Beijing. Rather than calling it Yitiao, it should be called The Rich. However, despite these challenges, Yitiao strives forward. Similar to how Michelin created content to expand the appeal of the entire auto industry, and how IKEA created meticulous showrooms to bring lifestyle and design education to customers, Yitiao is combining content, lifestyle and ecommerce in new and interesting ways. There is a long way to go, but so far it’s been an exciting ride. I hope, that was an inspring story about an editor’s career change. To stay up to date. Just like my Facebook Fanpage: The Doan’s Blog. If you want to know, how to get sustainable traffic, read this: What is SEO? My most popular blog article: International money. Landing page is a special website creating mostly for lead generation. If you don’t know, what lead generation is, read this! Lead Generation. By the way, the picture above is my website. Check it out: SEO Services. Most visitors see it after clicking on an online ads e.g. Google AdWords, Facebook Ads, LinkedIn Ads etc., which is part of digital marketing. This website doesn’t have much information. Only the most necessary information like your advantages you will get by filling out the contact details. In this example it is getting more traffic, leads or sales as an offer. Other landing pages offer free ebooks, podcasts, courses, guides, cheat sheets, webinars, trial software etc. Another feature is, that it has a call to action button. In this example, it is „Get a quote“. Other call to action buttons can be „Submit your property“, „Get started“, „Subscribe“, „Make an appointment“ etc. So all in all a website is to inform for example about their services, how many staffs they have, about their history, testimonials etc. So it is more about information. A landing page is specially designed for lead generation. To get contact details from you in exchange for nice incentives. The number one key performance indicator is the conversion rate. Conversions mean, that someone clicked on the call to action button for example to request a quote, to sign for the newsletter etc. The conversion rate is the percentage of the amount of the web visitor clicking on the CTA button out of the total number of web visitors. A typical conversion rate is about 2% to 5%. A low conversion rate can mean, that what you offer is not appealing enough. The design of the landing page is not intuitive or just simply you didn’t target the right group. One of the best way to increase your conversion rate, is to do A/B testing also known as split testing. A term from the web development, which is kind of out of topic, because it has nothing to do with marketing, but never mind, it is digital marketing. Don’t forget about that. A/B test is showing your web visitors 2 versions of your landing page to see, which one of them has a higher conversion rate. The 2 version can have different texts, pictures, call to action buttons etc. For example you can find out, whether a red logo converts more than a blue logo or the call to action button should be below the picture or next picture. The big advantage is, that investing in A/B tests give you more leads than increasing the budget for paid traffic, which is money saving and effective. When you run the A/B test, having a look at the bounce rate is also a good indicator, whether your design is appealing enough. To be able to get a reliable conclusion, you should have enough traffic, which shouldn’t be a problem for ppc campaigns. Besides running the variation with 302 temporary redirect, so that it won’t have impact on SEO. A wine company could increase 200% of conversions! A good A/B test tool is Google Optimize. That was basically it about landing pages. I hope, you like it. To stay up to date. Just like my Facebook Fanpage: The Doan’s Blog. If you want to know, how to get sustainable traffic, read this: What is SEO? My most popular blog article: International money. Veröffentlicht am 17. Juli 2018 17. Juli 2018 Kategorien Business, GeneralSchreibe einen Kommentar zu What is a landing page? Lead generation is to convert strangers into someone, who is interested in your products and services, which is called a lead. Now, when you call that lead, it is not a cold call any more, because that person already knows you, which leads to less rejections. In terms of marketing, lead generation is also called as inbound marketing, because potential customers come to your website to inform themselves. So you don’t have to catch their attention. That would be outbound marketing. It is already the 2nd step, which is called convert. In terms of sales funnel, it is already the 2nd step, which is called interest. So before that is awareness. In this article we focus on online lead generation. One of many ways to make someone aware of your products or services is to do SEO. Read this! What is SEO? In terms of digital marketing in order to convert someone, who are aware of what you offer to someone, who is interested in your products or services, the best way to do it, is to use landing pages, where you can get contact details from that person like email address, address, age, phone number etc. Anything, that you need to know from that person in order to further market them into the next step of the sales funnel, which is the decision phase. In order to get those leads, you have to give them some incentives like free ebook, cheat sheet, trial software, demos, courses, newsletters, podcasts, webinars etc. Another way to generate leads is to use social media. You can run contests e.g. on Facebook, Twitter, LinkedIn etc. A fun way of lead generation. By the way LinkedIn is the best social network for lead generation by far. 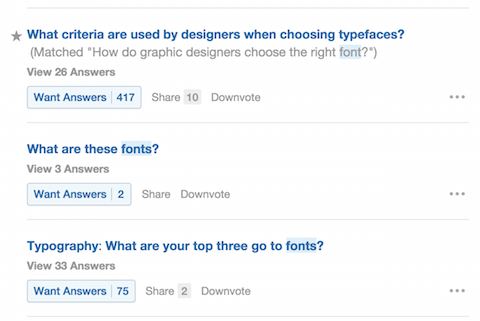 Additonally, you can answer questions on Quora. Here is an example: Quora – How can I generate more leads? Besides blogging consistently also creates leads. There is also a lead generation tool. One of the most popular tools is Lead Formly, but my Agency is also able to provide you a great landing page: Sites4Businesses and SEO: SEO Services. Buying leads is like doing cold calls. Those people don’t know you and they might label you as spam and put your emails e.g. in a spam folder. That’s why lead qualification is important. Read this! Lead qualification. Many businesses struggle with high quality leads. 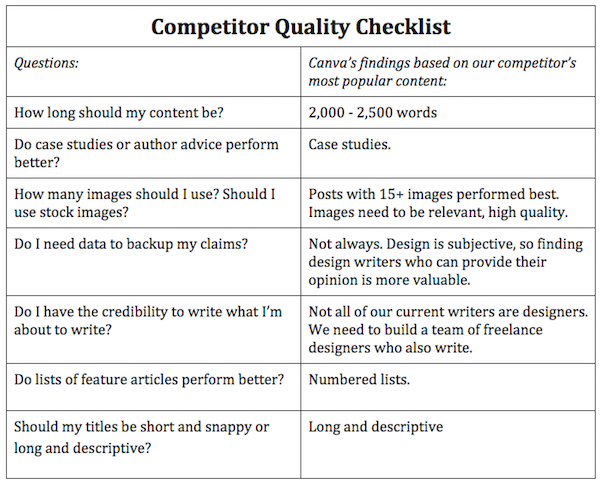 In order to get that, you have to provide high quality content, promotion and SEO. SEO helps you to get the right people on your content. Read this! What is SEO? If you want to know, whether you are getting enough leads, you can do a benchmark to find out, whether you are doing well compared to others. So costs per lead can vary between $10 to $100. To get a lead from the IT industry is the most expensive, where the costs is about $100, but how do you calculate costs per lead? Just divide the ppc with the amount of leads you have. So if you spend e.g. $5000 on ppc ads like Facebook Ads or Google AdWords and you get 50 leads out of it, the cost per lead would be $5000/50 leads = $100 per lead. Most of the companies have less than 1000 leads per month, but those, who gets leads are also more successfull. So getting leads is crucial. I hope, you like this article about lead generation. To stay up to date. Just like my Facebook Fanpage: The Doan’s Blog. If you want to know, how to get sustainable traffic, read this: What is SEO? My most popular blog article: International money and Secrets of the Super Rich. Many business owners feel that they don’t need SEO because they obtain most of their business through word of mouth referrals. Although word of mouth marketing is an effective way to bring in business and build up your reputation, it’s not a scalable way to grow your business. Search engine optimization, on the other hand, is. Read on to learn six ways, how SEO can boost your business. Many small businesses, like consultants, can struggle to get clients. Improving your SEO allows your business to get found online, which increases traffic to your website and to your store, and helps you to get more clients. SEO is an important part of referral marketing because people who hear about your company will want to look it up, but they won’t always remember the name. However, if they remember that it was a tailoring service in Chicago, for example, they can type that into Google and, if you’ve done your SEO homework, find your business. Casual conversations that are great for word of mouth marketing are bad for remembering things. If your word of mouth leads are coming from a situation that isn’t conducive to writing things down, you could be missing out on a lot of business. SEO is a basic way to get your website found online and is extremely important for businesses without a storefront. Optimizing your SEO shows that you care about your business and makes it easier for people to see that. 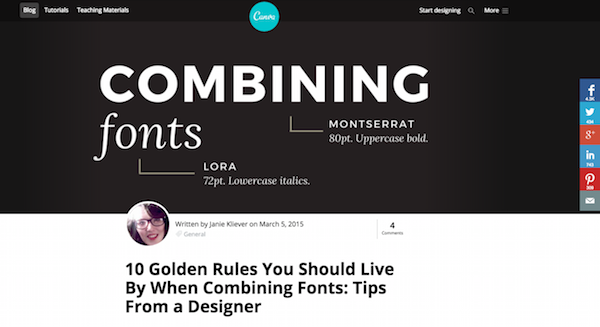 Getting to the first page can give you a sense of accomplishment (and maybe even power), but it does more than that. As a potential customer, you feel that you can trust companies that rank high in Google searches. If a customer can’t find a business on the first page of Google, we usually think there is something wrong with the business. SEO boosts your ranking in search engines, putting you at the top of the page and at the forefront of the minds of your target audience. 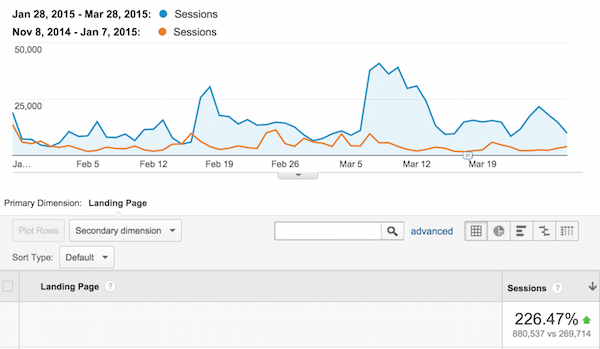 Customers aren’t the only ones who notice when you rank on the first page in Google searches. Competitors and other businesses do too. One of the basic marketing concepts for small businesses is being in someone’s mind or first in their Google search when they’re looking for a business like yours. It’s easy to get referrals from customers who already know about your business. But there’s something better than that – Referrals from other businesses who have customers of their own! The bigger the referrer, the bigger the buzz about your business! The traffic you will get is targeted, so there are more likely to buy your products or services. Besides the targeted traffic is sustainable. Once the work is done the traffic still keeps coming without further do. Google is a trustful software. If you are ranked on Google, it means, that you are trustworthy. It is a fact that people trust the listing of Google. It also means, that your brand is reputable. Compared to online paid advertising ppc, SEO has a higher conversion rate. Why? Because your ad can display on top right away regardless, if you are trustworthy or not. That’s why people trust Google results. Organic traffics have up to 3x times higher conversion rates. That’s basically it about, how SEO can boost your business. To stay up to date, just like my Facebook Fanpage: The Doan’s Blog. Further readings: What is offsite SEO? What are backlinks? Why keyword research? What is Digital Marketing? What is SEM? The most read article is this international money. My Web Agency is providing SEO services. Feel free to contact it: SEO Services. A lot of people assume that the rich live in mansions, take lavish vacations, and dine in fancy restaurants every night. Nothing could be further from the truth. A small percentage of the well-to-do may live that way, but as Thomas Stanley and William Danko pointed out in the best-selling Millionaire Next Door, most of the people in the nation’s highest tax brackets live modestly and look no different from the less affluent. Below are five money habits that separate the rich from the poor, and most may surprise you. 1. They live beneath their means. They own moderately priced used cars and drive them until they’re on a first-name basis with their mechanic. They live in modest homes in average, middle-class neighborhoods. They clip coupons. They cook and eat at home. They buy their clothes off the rack and on sale. They drink beer rather than champagne. Most importantly, they don’t spend more than they earn–they live well below their means and invest the surplus in things that are important to them and will provide for their long-term well-being. 2. They don’t try to keep up with the Jones‘. They don’t try to impress anyone. They don’t belong to exclusive clubs or host lavish parties. If they belong to a social or sports club, it’s usually to network or further their business interests. When they engage in such activities, they usually get a return on their investment. They understand that lifestyle creep–buying a more impressive home, driving a pricier car, or wearing fancier clothes–is a danger to their pocketbook. 3. They work for themselves. The rich tend to be entrepreneurs in boring but stable industries. They understand that it’s difficult to increase their own fortunes if they spend their days working to pad someone else’s bank account. They know that when you own your own business and can supply a product or service for which there’s a steady need, you will likely do well and never want for an income. 4. They don’t provide financial life support to others. They worked hard to earn their money–they didn’t inherit it or win it in the lottery–and because it wasn’t handed to them they believe that it shouldn’t simply be handed to others. When family or friends ask for a loan, they may say yes but there will likely be conditions and it will likely be for something that empowers the recipient (i.e., money for education or a business venture). 5. They make sure their money works as hard as they do. They save religiously. They invest in their retirement (and non-retirement accounts) without fail. They educate themselves about their money by tracking how much is coming in, how much is going out, and how to get the best return on their money. Ultimately, the rich achieve that status not through their earnings but through their day-to-day habits–habits all of us can try to emulate. I hope, you like this article about money habits. To stay up to date. Just like my Facebook Fanpage: The Doan’s Blog. If you want to know, how to get sustainable traffic, read this: What is SEO? My most popular blog article: International money. There are some tricks bloggers use to increase traffic. Here are some hacks! Tag people. Whether you share your content on Facebook or Twitter, you can tag them too to make them pay attention to your post. Use long tail keywords, because it is easier to get ranked for it. Add social sharing buttons for easier sharing. Besides, it is also a signal of social proof. I have an article, which is shared over 500 times! That way you also know, that this topic is in demand and you should write more articles about it. Submit your blog articles. You can submit it to Bizsugar, Hacker News, Reddit etc. Blog as much as possible. The more content you have, the better insight, you will have, which blog article people wants to read or are interested in. Join HARO. Haro stands for help a reporter and it can give you backlinks. Be active on Quora to gain more reach. It has about 200 million visitor per month! That’s basically it. Quick and informative without much blabla. To stay up to date. Just like my Facebook Fanpage: The Doan’s Blog. If you want to know, how to get sustainable traffic, read this: What is SEO? My most popular blog article: International money. Do you like sleeping? Do you like money? Here is an article about, how to make money while sleeping. Do you remember in the past we were warned to be careful about being in debt because interest never stopped charging us, interest never slept, never took a day off, never took a holiday. Well the reverse is true, as well. Is your money making money while you sleep? Does it sound too good to be true? Since we still live in the age of the internet, it’s not that difficult to earn extra money on the side. With that in mind, here are 11 ways that you can actually earn money while you sleep. If you’re knowledgeable in a certain area, then you can start creating products, such as eBooks or videos, and selling them on your blog. It may take a lot of work to create and market your products, but once all the leg work is over, you can just set back and collect the proceeds. Create a membership community:If you’ve proven yourself to be a authority figure, then you can create a membership community where you pay a monthly fee to receive additional high-quality content and information that’s not available to non-members. One of my favorite examples is Timothy Sykes who makes more than $100,000 per month in passive income through his membership community which discusses how people can make money in trading penny stocks. Flip websites: If you’ve put in the time and effort in building a website and you have gained a lot of traffic, then you may be able to sell it to an interested party by listing on marketplaces like Flippa. Create your own ecommerce store:You can also launch your own eCommerce store by using Shopify. They literally give you everything you need to sell products online from a complete online shop to including buy buttons on your social media channels. US Americans like dropshipping. Invest in stocks: When you invest in stocks you become a stakeholder. That entitles you to a share of their profits. Investing in stocks has been a popular way to earn a passive income for years, and thanks to the internet, it’s easier than ever to research and invest in stocks on your own. Rent out your property: The bigger the city you are in, the more rental income, you can get. Besides, it will be also easier to find tenants. Now, you have a rough idea, how to make money while sleeping. To stay up to date. Just like my Facebook Fanpage: The Doan’s Blog. If you want to know, how to get sustainable traffic, read this: What is SEO? My most popular blog article: International money. Before covering some of the best passive income ideas that you can use to automate your revenue, it’s important to understand specifically what the concept means and what it doesn’t. You’ll likely find countless posts on the web covering dozens of passive income ideas, whether online or in the real world. Write and publish an ebook:Another great method for generating a respectable amount of passive income is to write and publish an ebook. Non-fiction ebooks that help to educate your audience on topics such as online marketing, business or other self-development areas, are going to sell far better than fiction books at the outset.Clearly, fiction can make tremendous amounts of money, but it’s also highly competitive if you’re not an already-established writer with an existing following. Utilize the Amazon Kindle Direct Publishing platform and publish ebooks that will fill an existing need in popular niches where you have some level of expertise. Create an online course:Have a technical skill? Want to convey that skill to others out there while generating a healthy passive income stream? Creating an online course on Udemy is a great way to automate some of your cash flow. However, like any other income stream that’s passive, it takes a significant amount of effort on the front end.There are so many things that can be taught through an online course. I opt to teach technical skills in my courses such as how you can become a web developer or learn search engine optimization, but you can also opt to teach other skills such as playing an instrument, learning a new language, becoming a photographer and so on and so forth. Develop a smartphone app:Okay. Okay. I know it’s not easy to develop a smartphone app. You either need a lot of skill or a bit of money to get someone to make your vision into a reality, but it is still possible. While the overnight gold rush to app riches might be over, you can still earn a respectable income if you develop the right app.If you can create the next Uber, then great. If not, you can opt for some niche app that will help to solve a problem or fill a need that might not have yet been properly covered. Think you can do something better? Why not give it a shot? If you’re at all technical and understand the dynamics of business and smartphone applications, this is definitely worth your while. Earn real estate rental income: Real estate has long been the source of passive income for ages. Investors and owners have opted to rent out homes, apartments, condos and office space to generate a healthy monthly revenue. Clearly, real estate is a great source for generating some automatic income, but it also requires a sizable upfront investment. Sell photos online:Another avenue for passive income is to leverage photo-selling websites such as iStockPhoto and Shutter Stock to earn money while you sleep. Clearly, you need to understand photography and things like Photoshop if you’re serious about succeeding in the photo-selling business.There’s a lot of competition when engaged in this line of work. However, if you have a knack for photography, then selling your photos online should come almost naturally to you. Get really good with photo-editing software and find your niche. Whether it’s portraits, landscape photography, business photography, or something else, find it and stick to it.